Columbus, Neb. – Upgrading of electric meters in seven southeast Nebraska communities by Nebraska Public Power District (NPPD) is scheduled to take place this month. The meter replacements are part of a program in 2018 to replace 43,000 existing electric meters in 33 communities served at retail by NPPD. The new meters are equipped with two-way communication known as Advanced Metering Infrastructure (AMI), a digital metering technology used around the world for more than a decade. The current meters in communities slated for replacement are electro-mechanical devices. The new meters display the reading, but in digital LED format. 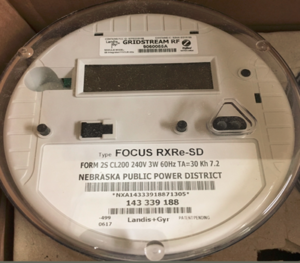 The meters will have an electronic circuit board module installed that will receive and securely transmit the data back to NPPD on the total amount of kilowatt hours used by a residence, business or industry. Rush Creek, the state’s largest wind farm, has 300 turbines and spans five counties. It will start commercial operation Oct. 31. BU will buy the power from a South Dakota wind farm that will begin construction in the spring. It will then resell that power for use in the midwestern United States. APS of Arizona has announced three new residential energy programs hoping to financially motivate customers to use more cheap daytime solar electricity via HVAC, energy storage and hot water heaters. sonnen-founded nonprofit launches huge solar+storage project for Puerto Rico, Solar Power World. 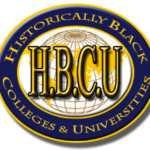 This initiative is a first-of-its-kind attempt to outfit 3,000 places of worship, community centers, schools and hospitals with solar + storage technology capable of empowering communities and serving as a beacon of hope in the face of hurricanes and power outages. 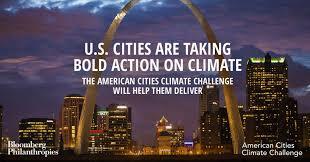 Bloomberg Philanthropies announced Friday Seattle and Atlanta are the first of 20 winners of its American Cities Climate Challenge. This year, we’ve chosen five winners in each of the three areas of focus at this fall’s VERGE 18 conference: clean energy; sustainable transportation and mobility; and the circular economy. This entry was posted in Nebraska / Midwest News, NewsBlog and tagged 100% renewable energy news, 2018 VERGE Vanguard Awards, Advanced Metering Infrastructure (AMI), agrovoltaics, American Cities Climate Challenge, innovative renewable energy programs, innovative renewable energy technology, microgrids, Nebraska Public Power District (NPPD), Nebraskans for Solar NewsBlog, solar panel recycling, U.S. military bases running on 100% renewable energy on September 19, 2018 by Helen Deffenbacher.